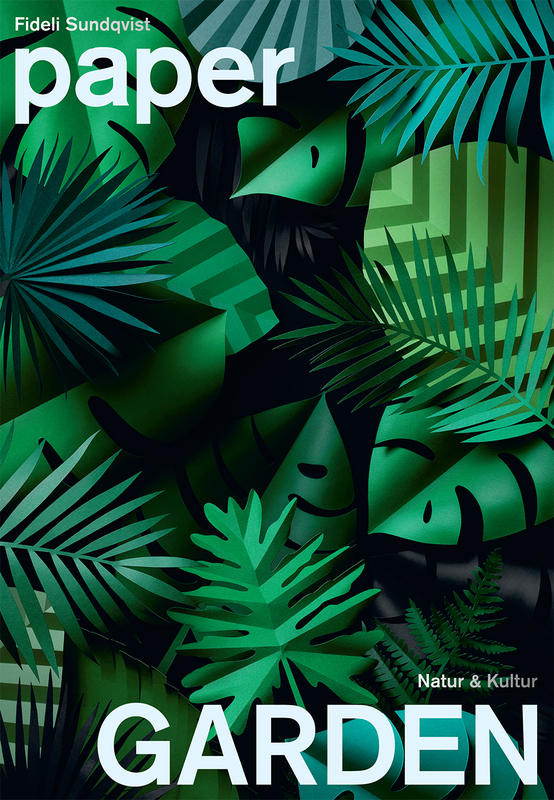 I’ve been a huge fan of Fideli Sundquist‘s paper art work for a number of years now. She creates the most impeccably beautiful vignettes out of paper cuttings. They’re drool-worthy. Such precision! I anxiously bought her book, I Love Paper, and was thrilled to find out that she recently released another book, Paper Garden. Unfortunately, Paper Garden is only available in Swedish at the moment. I asked her if she’d be willing to share one of the projects with you in English and she generously agreed. Hooray! I selected one of my favorites from the book, the medinilla. 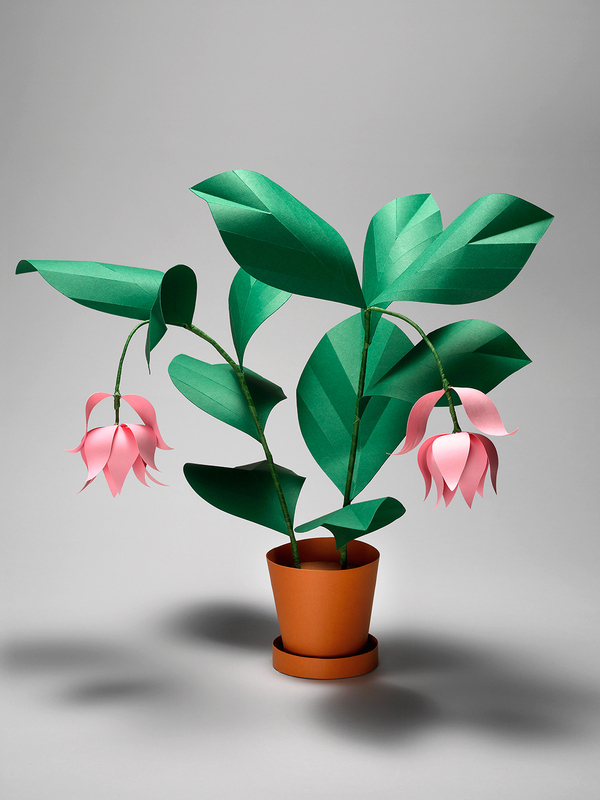 I’d love to have a medinilla in real life, but this paper version is just as delightful. See how to make it below! 1. Start by preparing a pot. 2. Trace the leaf pattern (download here) onto wax paper to create a stencil. so that the stencil doesn’t slide around. Cut along the lines using an exact-o knife. 5. Make approx. 10 leaves. Feel free to vary the sizes of the leaves. plant. One size works well too. thin the stem by cutting off a few of the wire’s individual wires. 9. Glue a leaf to each petiole. of your choice and cut out like you did before. 11. Shape the petals using the back of a paint brush. also wrap extra flower tape around both sides to keep it in place. just to give the flower character. 14. When the petals and leafs are attached, carefully shape the stem to make it feel more organic. 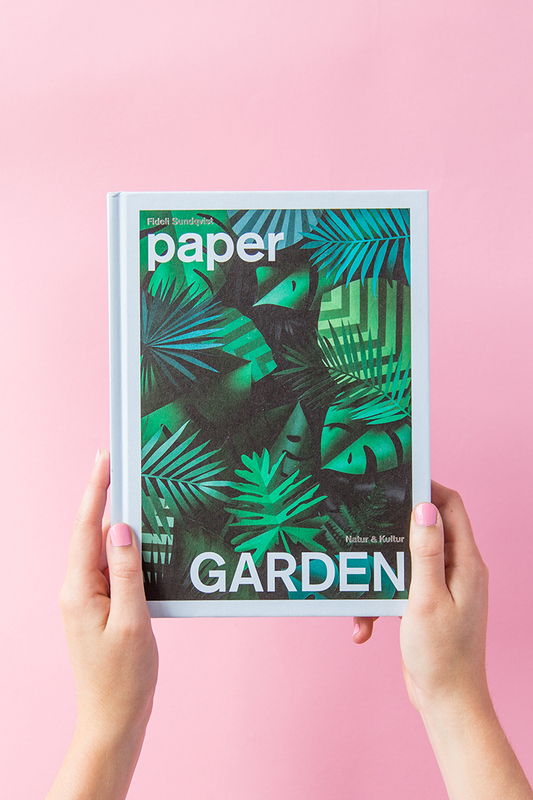 See more beautiful paper garden tutorials in Fideli’s new book, Paper Garden.